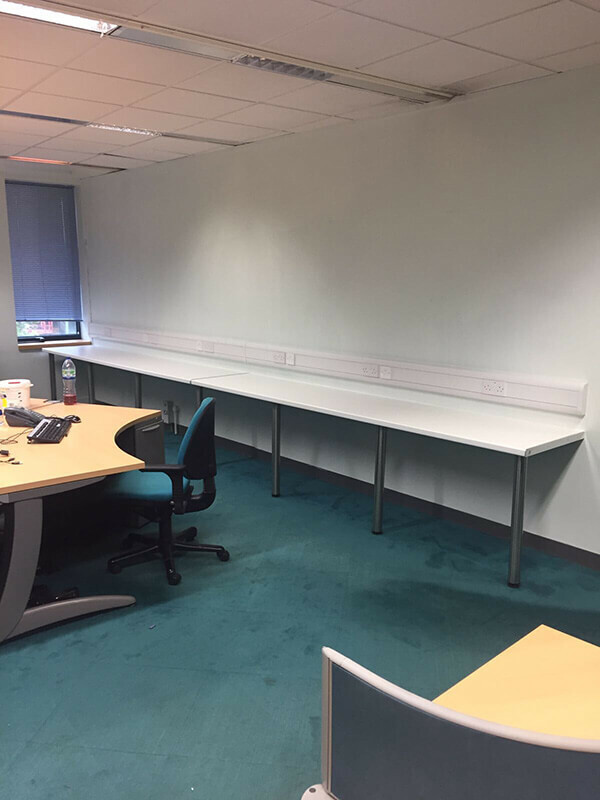 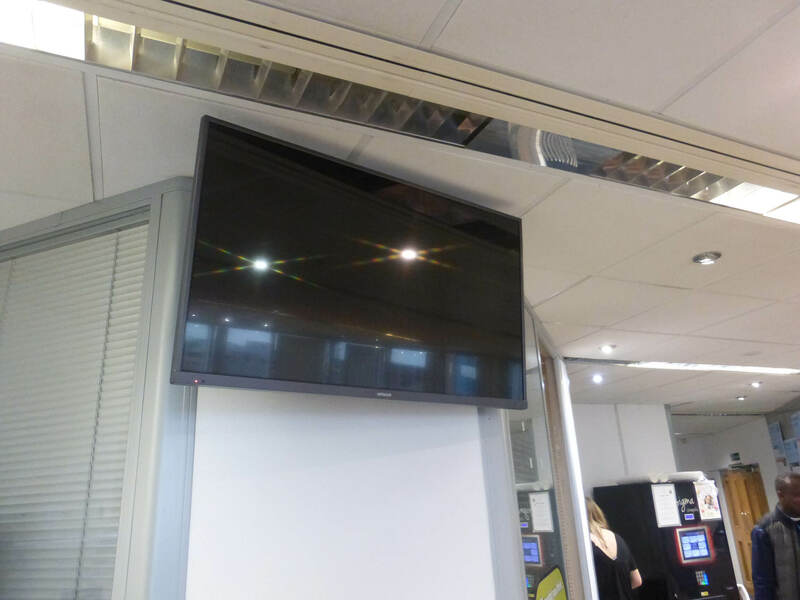 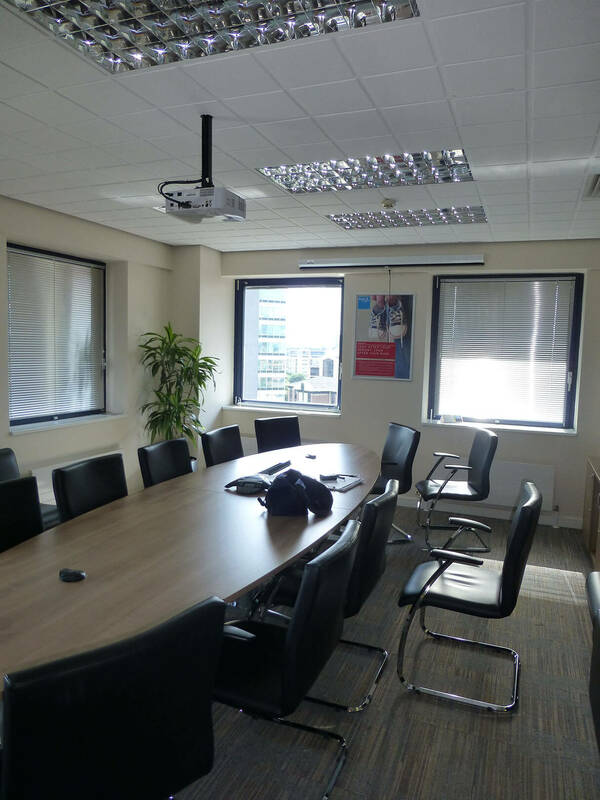 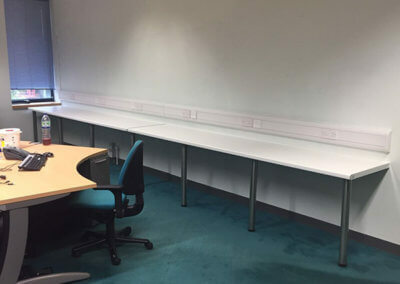 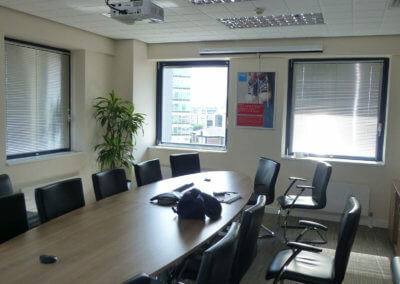 Sample of work where we have installed numerous worktops & dado trunking power along with wall mounted and ceiling mounted TV’s and Projector Units at Bupa, Salford Quays (installed in 2015 & 2016). 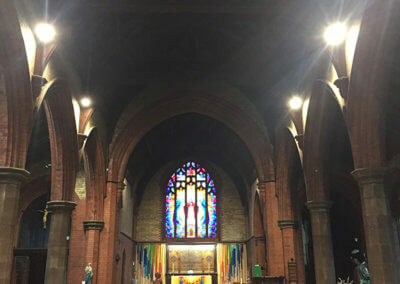 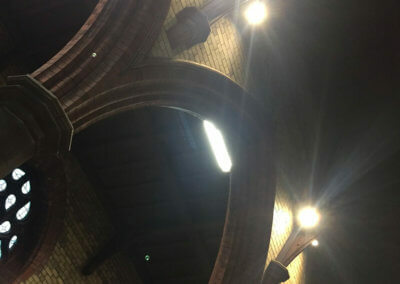 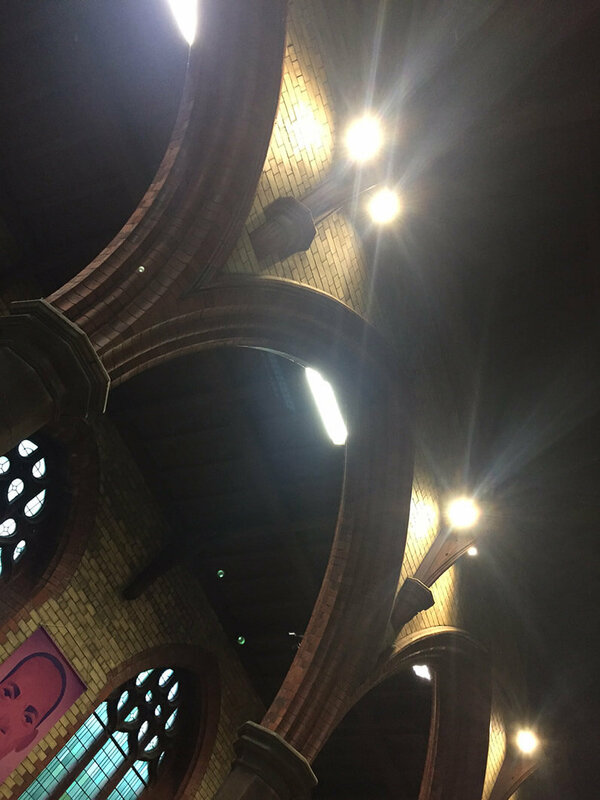 St Johns Church, Old Trafford where we installed 24 x Reggiani LED specialist spotlights at high level. 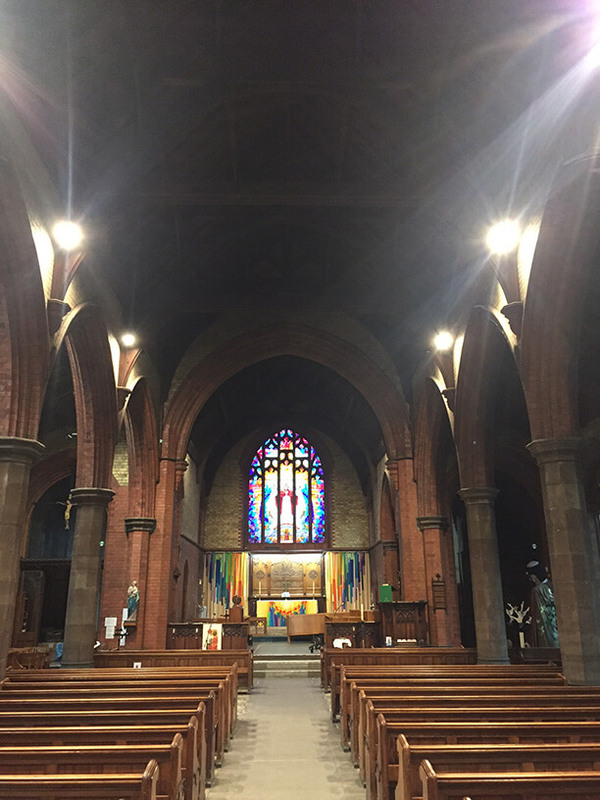 This involved removal of pews and use of access tower to remove the original 250W tungsten 1960’s light fittings and test the wiring prior to fitting the new LED flood light fittings (installed in 2017). 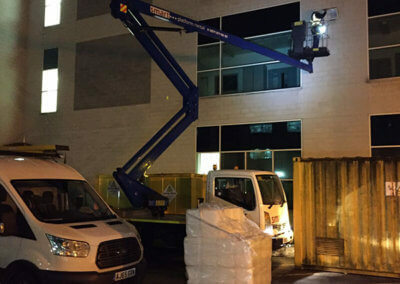 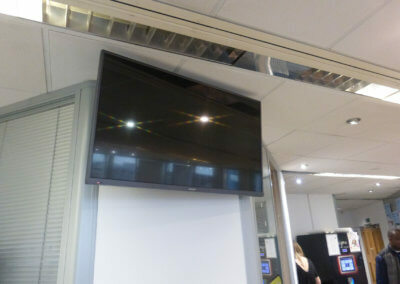 At UMIC Site we had to hire/use the mobile platform in order to fit high level LED flood lights for the service yard. 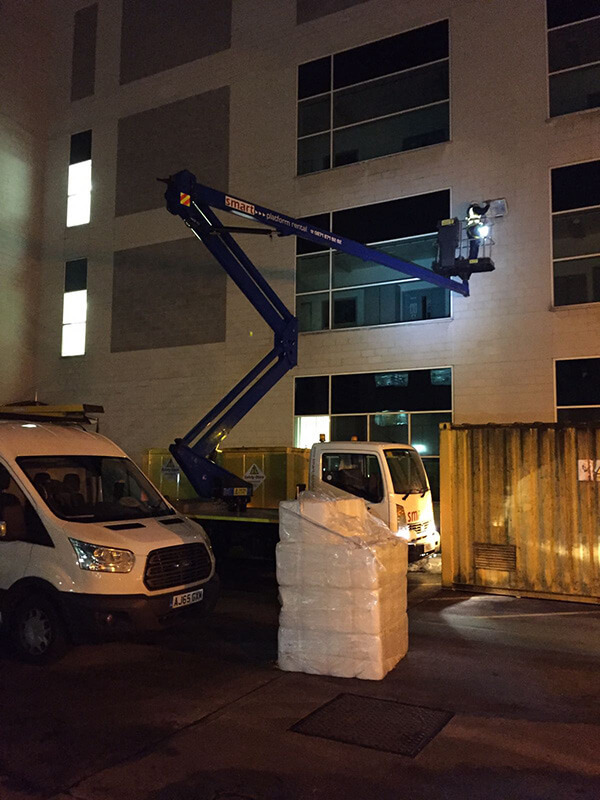 Our staff have the relevant IPAF and PASMA qualifications so we can carry out this kind of work when required.